U.S. 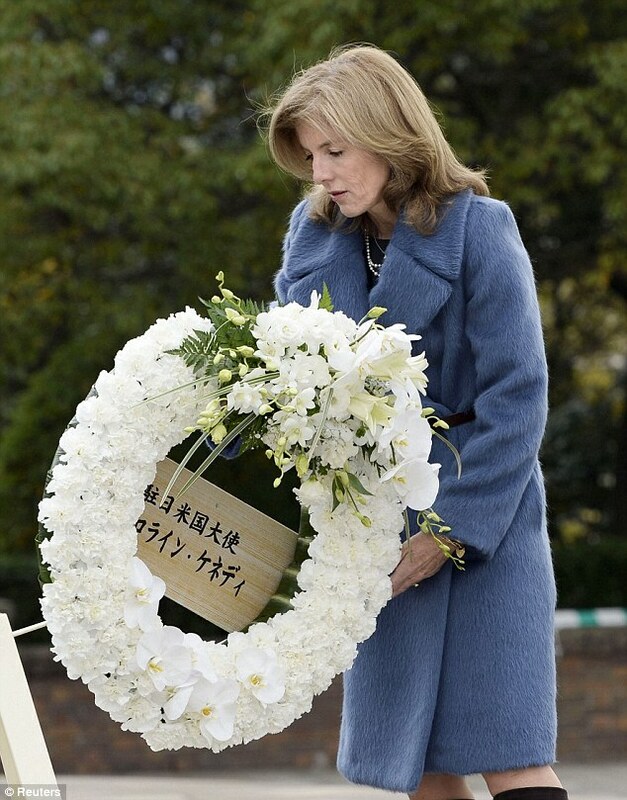 Ambassador Caroline Kennedy has visited the Japanese city of Nagasaki, where 70,000 Japanese were killed by an American atomic bomb attack in 1945. Kennedy laid a wreath at the park commemorating the attack, which shocked the world and helped prompt Japan’s surrender in World War II. 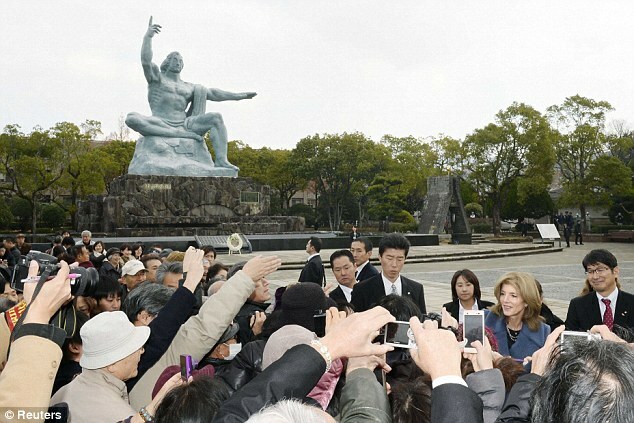 The daughter of U.S. President John F. Kennedy toured Nagasaki’s Atomic Bomb Museum on Tuesday and met with some atomic bomb survivors. At the city’s Peace Park she was to help plant an American dogwood tree, one of 3,000 offered as a gift of friendship to Japan. 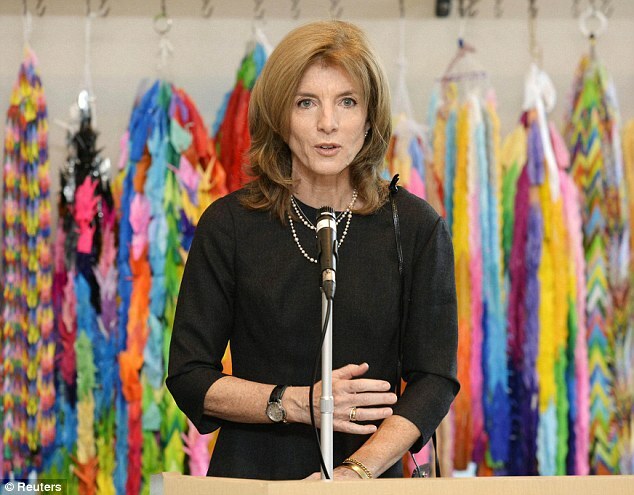 In 1978, Caroline Kennedy visited Hiroshima, site of the first U.S. bomb attack, on Aug. 6, 1945, with her uncle, Senator Edward Kennedy – long before President Barack Obama tapped her to become U.S. ambassador in Tokyo. The Hiroshima attack killed 140,000 people. Kennedy is wrapping up a busy first month on the job that also took her to an American military base and northeastern cities devastated by the March 2011 earthquake and tsunami. The atomic bomb Fat Man wiped out the entire north of Nagasaki – the second U.S. nuclear bombing of Japan. An estimated 73,000 people died – more than a quarter of the city’s 263,000 inhabitants at the time. Some 75,000 people were injured and hundreds of thousands were sickened by radiation, according to statistics at the Peace Park. Today, Nagasaki is a port city of 450,000 people with an economy that is heavily based on international trade and fishing. This entry was posted in Festivals/Events, History, Links, Museums/Exhibitions, News, Travel and tagged a-bomb, ambassador, Atom Bomb, atomic bomb, Atomic Bomb Museum, Caroline Kennedy, Fat Man, Japan, Japanese, JFK, John F. Kennedy, Nagasaki, President, U.S. Ambassador Caroline Kennedy, U.S. President John F. Kennedy, World War II. Bookmark the permalink.